Wasps and nest Control in Macclesfield, Wilmslow, Knutsford and the south Manchester areas is now becoming a more common occurance. Having a wasp nest removed should never be done other than a professional.Being stung by a common or social wasp (also known as a yellow jacket) is a painful experience and can be life threatening to those who are allergic to stings and may suffer anaphylactic shock. However, it is possible to reduce these risks by taking sensible precautions when outdoors and ensuring that wasp nests are properly treated or removed. If you have been stung by a wasp, please seek medical advice. The bright yellow and black striping of wasps is a warning pattern that has been mimicked by many insects to take advantage of the deterrent effect of appearing wasp like. These harmless mimics include hover-flies, day moths (such as the Ash Borer) and beetles that visit flowers to feed on pollen and nectar. Wasp nests are made from chewed wood pulp and saliva, giving them unmistakable papery walls. Take great care when dealing with wasps as they have a potent sting and can attack in large numbers if disturbed or threatened. A lone wasp trapped indoors can be dealt with using a Wasp & Fly Killer spray. If you are experiencing high numbers of wasps in your home or garden it is likely that there is a wasp nest nearby. When queen wasps come out of hibernation they search for sheltered places with easy access to the outdoors to build their nests, often in domestic housing, making use of attics, wall cavities, roof spaces or under the eaves of buildings. A single wasp nest may contain thousands of wasps which can attack if disturbed or provoked. If the location of a wasp nest is likely to put people at risk, then the wasp nest should be treated immediately. A queen wasp will start to build a nest in the spring, beginning with a wasp nest about the size of a walnut but as the first batch of workers hatch to take over nest building the size of the nest increases rapidly. By summer a mature wasp nest can contain between 4,000 - 6,000 individual wasps and typically can be 30 cm in width, although they can be much bigger depending on their location. Nests within wall or roof cavities may be restricted by the available space. Other sites for a wasp nest can include lofts, garden sheds, trees, thick hedges, bird boxes, garages and out-buildings. 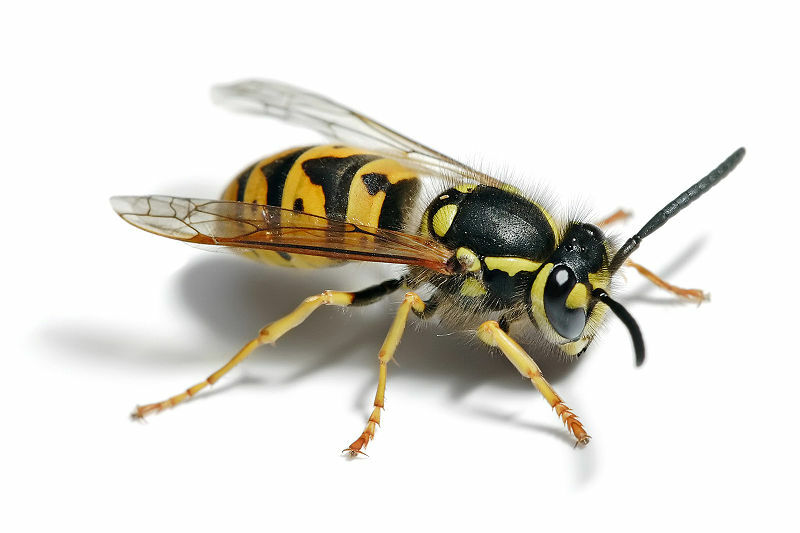 The risk from wasps is particularly high towards the end of summer – it is preferable to treat a wasp nest earlier in the year before wasps become more aggressive. At Town and Country Pest control we can identify and eradicate a wasp nest quickly with minimum fuss. To locate the wasp nest, watch the flight path of the returning wasps. If the wasp nest is near your home, keep nearby doors and windows closed. If you suspect the nest is in the loft, take great care when entering the roof space as the wasps may see this as an aggressive threat to their nest. Do not attempt DIY wasp nest treatment, leave this to professionally trained pest control tecnintion’s. This will usually be done by spraying an insecticide powder in or around the entrance of the nest. This powder will then be taken into the nest by wasps returning and entering the nest. To prevent a wasp nest from ever entering home, look for small holes, crevices and cracks that has a hidden void behind it, the void is the likely place where a Wasp nest is likely to be established. These holes, cracks or crevices need to be filled or repaired.